4.1: H1Zeus Working Group . Particle physics experiments are designed to probe the structure of matter, the nature of fundamental interactions and ultimately to extend our understanding of nature. The HERA data represent a unique achievement in HEP, they are unlikely to be superseded in the near future, even considering the LHeC. The potential of the data can be further exploited, for example by using new developments in theory or new experimental methods, as well as using a simplified data format to reach a more general public in various education, training and outreach programs. 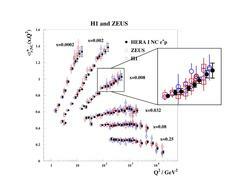 Another very important aim of HERA analyses is combining the results of the ZEUS and H1 experiments. Combining similar measurements from different experiments increases statistical significance and reduces systematic uncertainties via cross-calibration techniques to arrive at a more precise result. 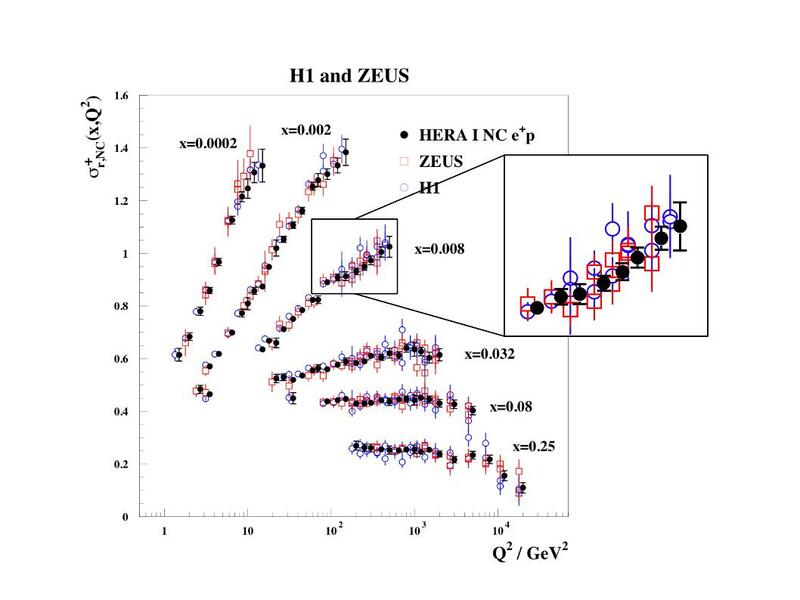 An example can be seen on the plot showing reduced neutral current (NC) cross section measured by the H1 and ZEUS experiments together with the combination of both - the HERA cross sections. A clear reduction of uncertainties can be seen in a blow-up of a part of presented results. There are ongoing efforts in combining H1 and ZEUS data for different analyses and this groupplans to take an active and leading role in providing more HERA results with increased significance.